First Flight Retreat's unobstructed ocean and sunrise views. "Morning Sunrise" is a 2 bedroom, 2 bath condo located on the north east oceanfront side of the first floor. Featuring ceramic tile, custom cabinets, stainless appliances, washer and dryer. Community features include: outdoor pool (saltwater), in-ground spa, roll coolers and toys on one of the areas few wheel chair friendly boardwalks to the beach without stairs and a large oceanfront deck located on over 250 feet of oceanfront all can enjoy, fitness room with state-of-the-art cardio equipment, game room with ping pong table. 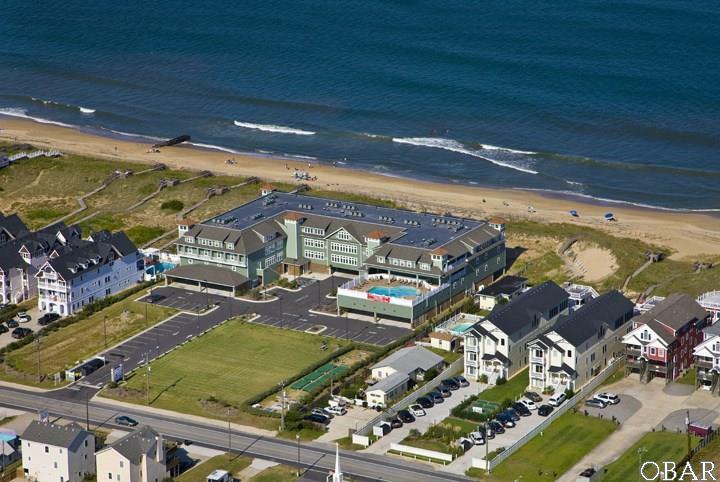 Close to area attractions including wonderful OBX restaurants and shops and the Wright Brothers Monument. Built to last. One of the newest condo projects on the beach with modern building features. Fire sprinkled, elevators, concrete and steel structure just to name a few. First flight Retreat is built to maximize fun in a quiet building that can stand up to what renters and vacationers want in a luxury oceanfront setting. ASSOCIATION DUES INCLUDE WIND, HAIL, FIRE AND FLOOD INSURANCES, ASSOCIATION DUES ALSO INCLUDE PHONE, BASIC CABLE with WIFI AND WATER BILL.